We recently viewed, on the long flight to BA with Air Canada, an interesting and relatively new documentary about a Detroit based singer-songwriter named Sixto Rodriguez. In the very early 1970s he released two albums on the Sussex label, home to Bill Withers among others. The albums were not successful in any sense, neither by sales nor critical acclaim. Sixto was an unlikely star at the best of times, at one point performing in a dingy bar in Detroit with his back to the audience. For some reason however, his music struck a chord in apartheid South Africa where the two albums sold incredibly well; he was, it was later reported: "bigger than Elvis." 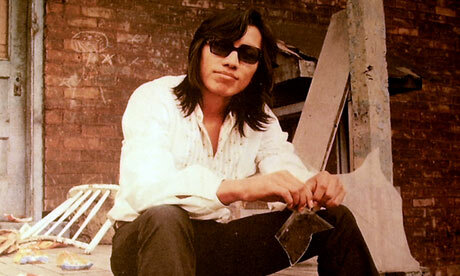 Languishing in obscurity in the US, Rodriguez left the music business and took up hard labour and civic politics (again without success). In South Africa his albums continued to sell to yet a new generation. A certain mystery arose in the republic about this performer and all kinds of stories began to circulate about the poor man's demise. 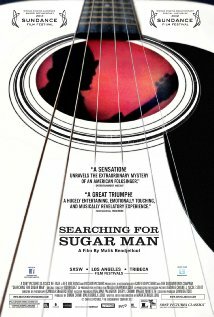 This film, though flawed, and somewhat irritating in its early bits, largely because of the way it attempts to heighten the mystery, is the story of how two South Africans went looking for their rock hero. It is a thoroughly entertaining and rewarding movie.